As the old joke goes, sometimes you have to take life with a pinch of salt, a slice of lemon and a shot of tequila. Well in 2017, mezcal could well topple tequila to become the nation’s favourite tipple. Global sales of the spirit rose 23% to hit $110m last year according to International Wine & Spirits Research. Euromonitor’s forecast data further revealed that sales of tequila and mezcal are predicted to hit 302 million litres in 2018, up from 274 million in 2015. While tequila has traditionally been viewed as a shot you knock back as quickly as possible, recent industry pushes worldwide mean it’s fast becoming recognised as a premium and versatile “sipping” spirit – and this too has given its more upmarket cousin mezcal an added boost. Made from 100% natural ingredients, mezcal supposedly leaves you hangover free (though the Startups team can’t make any assurances on this bold claim!) so it’s an attractive drink for consumers who want to avoid the curse of the dreaded ‘morning after the night before’. With most standard bottles pricing somewhere between £30 to £50, and usually twice the price of tequila, there’s certainly money to be made in this Mexican spirit. Incredibly, a chronic shortage of blue agave plants (used to make tequila) could trigger sharp price increases in the coming years, so we’d suggest that you stock up on mezcal now and wait for healthy profits to roll in. Indeed, just last February, British multinational drinks brand Diageo sealed a deal to distribute Union, while last summer tequila giant José Cuervo launched Creyente, the second mezcal brand in its portfolio. 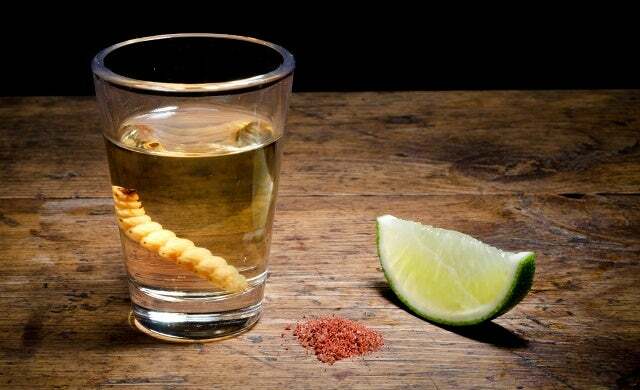 In 2014, the Tequila & Mezcal Fest launched in the UK “with the objective of informing both the trade and the public on how best to use and enjoy these drinks”. 2016’s installment was staged over two days at Truman Brewery, East London and attracted over 3,000 attendees. Inspired by the opening scene of the James Bond film Spectre, Mexico held its first ever Day of the Dead parade last November, with a Festival of The Dead carnival currently touring the UK. These are all good indicators that an interest in Mexican culture and traditions is on the rise. #NationalTequilaDay also falls on July 24th every year ensuring you’ll have plenty of opportunities to promote your mezcal range to rowdy revellers on social media! While producing your own mezcal is an option, as you can imagine the British climate is not entirely suitable for the agave plant, which generally thrives in much warmer temperatures. Some mezcal producers have to wait decades for such plants to achieve the right age of maturity to have the desired flavour – not exactly the timescale you’re looking for if you want to hit the ground running. What’s more, mezcal is only considered authentic if produced in nine designated states in Mexico (think champagne from the Champagne region in France) with the majority being made in the state of Oaxaca. For these reasons, opening a niche bar with a focus on mezcal is probably the best way to capitalise on the growing trend – unless you outsource your actual production to Mexico. Described by many as a “craft spirit”, mezcal remains an authentically artisan distillate and much is made of its long journey from ground to glass. Traditionally produced in small batches by rural farmers rather than distilled on an industrial scale, mezcal will no doubt attract health-conscious consumers interested in the provenance of the products they drink. With a distinctive smoky flavour, mezcal can be made from over 150 agave species – compared to tequila which can be made with just one – ensuring there’s plenty of variety available should you decide to stock up on mezcal spirits for a bar or pop-up. Given this number of options, mezcal certainly serves itself well in cocktail bars and it’s already becoming incorporated into more traditional favourites; making it an absolute must if you’re interested in running your own bar or cocktail-making classes. In Mexican-inspired restaurant chain Wahaca, mezcal is served with tonic water in a twist on the G&T. Artesian at the Langham Hotel serves mezcal in a sour and a martini while Blacks, the private members’ club in Soho, has made mezcal a focus on its new drinks menu. Based in East London, off licence and tasting room Brahms & Liszt specialises in mezcal and holds cocktail making classes and tasting seminars. Working with producers in Oaxaca, the bar even has its own label called Mezcal Quiquiriqui. Furthermore, tequila beer brands such as Desperados have long been enjoyed by UK consumers – suggesting a mezcal variant would also go down a storm. Still unsure of the market potential? Why not set up a pop-up cocktail bar and trial your business idea in any one of the UK’s busy food and drink markets? Or, if street food selling is more your thing, why not go down the Mexican route and offer consumers an aperitif – Mexican style? A guide on starting a street-food stall can be found here. Not limited to just food and drink opportunities, mezcal’s increasingly trendy perception has seen it appear on more than just bar counters. London start-up Tea & Tequila produces mezcal-inspired clutch bags, jewellery and home accessories alongside actual bottles of the stuff. Hello, I am from Oaxaca and currently I am living in Europe, let me know if you are interested in Mezcal business.